The “Ghostbusters” cast members were once the most enviable stars in comedy. 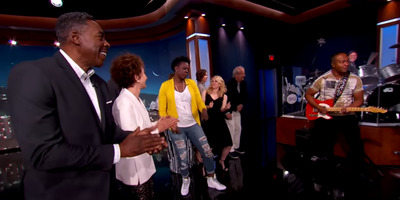 The actors danced on “Jimmy Kimmel Live!” as Ray Parker Jr. played the “Ghostbusters” theme song. The lesson is: Bill Murray’s dancing is a sight to behold. The two casts also reminisced about their first “Ghostbusters” experiences, including everyone’s favourite, the Stay Puft Marshmallow Man.